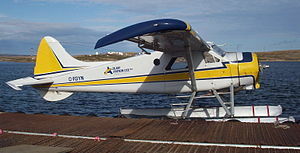 The DHC-2 Beaver is 411.2 KB. Larger files take longer to load. 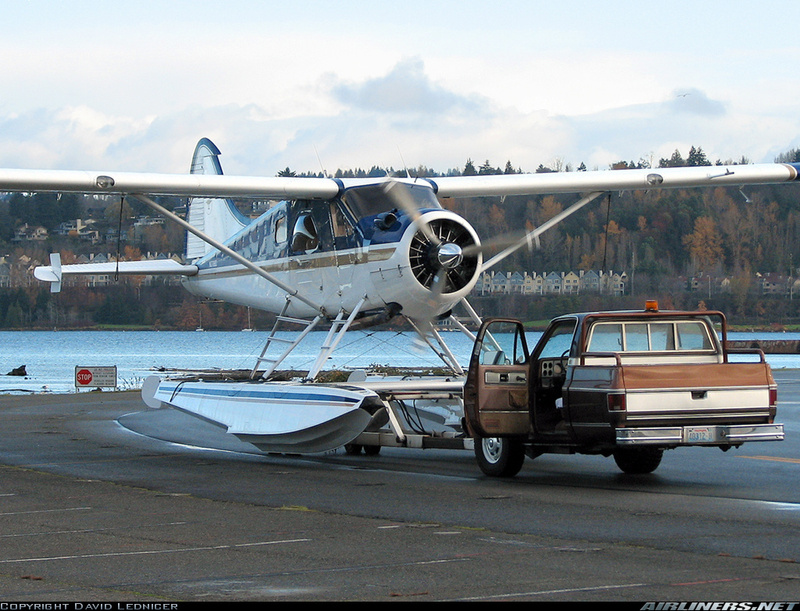 This is the DHC-2 Beaver listing page, here you can download the plan, article and see the main thumbnail and extra images. Shortly after the end of the Second World War, de Havilland Canada made the decision to orient itself towards civilian operators. Based upon feedback from pilots, the company decided that the envisioned aircraft should have excellent STOL performance, all-metal construction, and accommodate many features sought by the operators of bush planes. On 16 August 1947, the maiden flight of the aircraft, which had received the designation DHC-2 Beaver, took place. In April 1948, the first production aircraft was delivered to the Ontario Department of Lands and Forests. In addition to its use in civilian operations, the Beaver has been widely adopted by armed forces as a utility aircraft. The United States Army purchased several hundred aircraft; nine DHC-2s are still in service with the U.S. Air Force Auxiliary (Civil Air Patrol) for search and rescue. A Royal New Zealand Air Force Beaver supported Sir Edmund Hillary's expedition to the South Pole. By 1967, in excess of 1,600 Beavers had been constructed prior to the closure of the original assembly line. Various aircraft have been remanufactured and upgraded. Additionally, various proposals have been mooted to return the Beaver to production. The Beaver has become one of the more iconic aircraft to have been produced in Canada. Perhaps one of the more significant events involving the type occurred in 1958, when a Royal New Zealand Air Force (RNZAF) Beaver played a supporting role in Sir Edmund Hillary's famous Commonwealth Trans-Antarctic Expedition to the South Pole. Due to its success, the Royal Canadian Mint commemorated the aircraft on a special edition Canadian quarter in November 1999. In 1987, the Canadian Engineering Centennial Board named the DHC-2 one of the top ten Canadian engineering achievements of the 20th century. Large numbers continue to be operational into the 21st century, while the tooling and type certificate for the Beaver have been acquired by Viking Air who continue to produce replacement components and refurbish examples of the type. Pub. Ref: Draw by D.D. Videos for the DHC-2 Beaver. 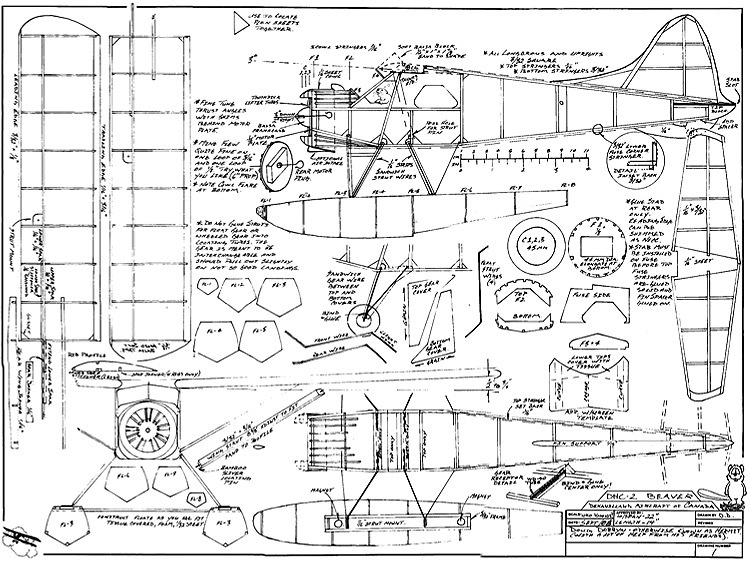 These are the details for the "DHC-2 Beaver" plan. If you would like to become a plan editor and help us to edit the attributes of all the plans in the website please click the "Edit Attributes" button below. 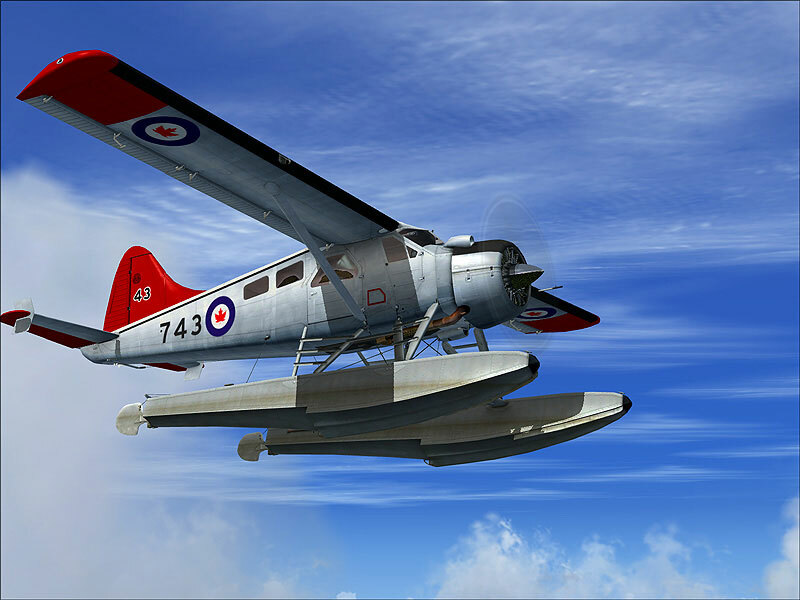 Order your DHC-2 Beaver prints today! The DHC-2 Beaver plan can be printed on plain paper, tracing paper or polyester film and shipped worldwide. This tool allows you to calculate the cost of printing and shipping the DHC-2 Beaver plans and its building article if available. If you need to resize a plan please contact us with the ID:99179 and the desired wingspan. I will calculate a price upon request, please contact me here mentioning this PlanID: 99179 and the job you wish me to do. This plan is 411.2 KB and was shared by our member André on 03/04/2017 19:16 in the PDF Bitmap Wood Model Airplane Plans (2) category.